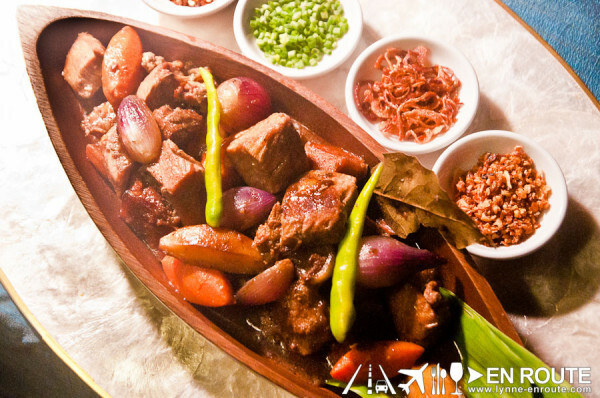 It’s a buffet by some of the most talented chefs that have pushed the boundaries of Filipino cuisine. 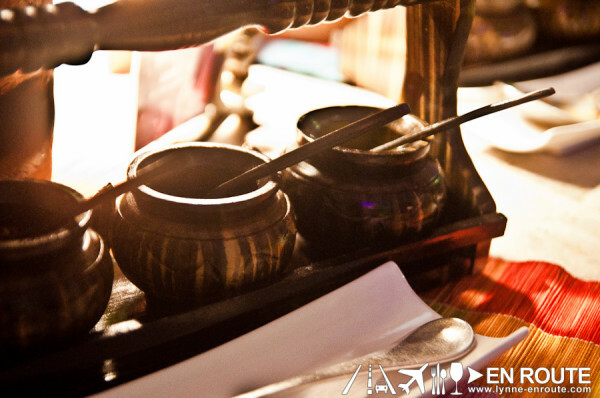 … and eating here can get you a plane trip to Coron, Palawan? Yep. 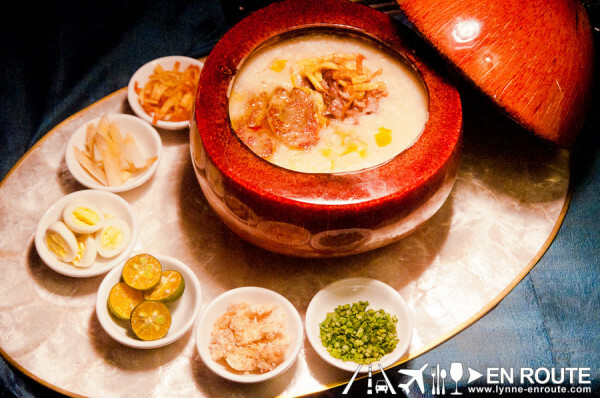 Corniche of Diamond Hotel launched a celebration of Filipino flavors by having their resident chef Marko Rankel join forces with the likes of Sau Del Rosario, Bruce Lim, and JP Anglo. All worthy in their own right, these chefs have brought some of their best dishes from previous stints and placed it all in this grand spread that is a fiesta for the eyes. Just look at this collage of what is not even half of the things you will see. Hailing from Pampanga has probably given Sau some sort of innate ability to whip up classic dishes and just work from there to raise it to new levels. Pork Sisig with Foie Gras? Yep. Experienced it before in his F1 LUZVIMINDA Stint. Imagine topping that over pipiing hot rice with a little bit of seasoning to your taste. Oh wait, there’s more: A Kare-Kare crispy bagnet and finished off with truffle macadamia sauce. Sounds overwhelming to the senses? Not at all. Some drawbacks would be that since served buffet style, you would want to get this in a fresh fresh to get the bagnet in all its crispy glory, or else it gets soggy from absorbing the sauce. One restaurant of his from before (Hyphy’s) became a favorite. 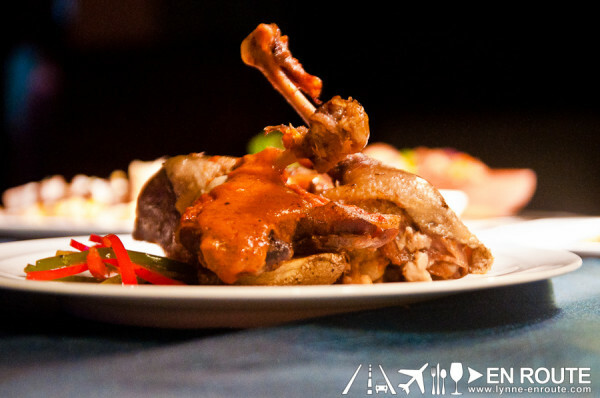 His take on Filipino dishes is infused with some American west coast influences. 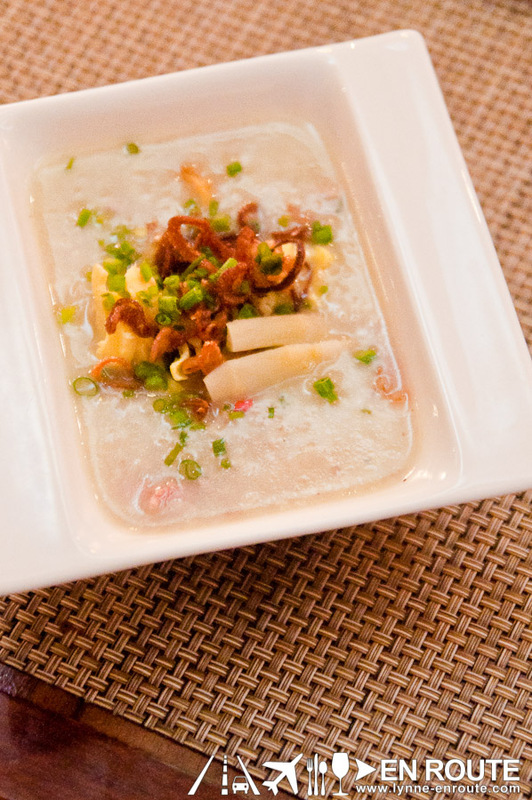 Two dishes that were great as appetizers were his take on Kilawin with sweet corn. Adding sweet corn nullifies the harshness of vinegar and brings the dish altogether for the palate that is familiar with the locals. And speaking of local palate for beer matches or pulutan, the Fried Squid mixed with Salted Egg and a semi sweet Cream Sauce is what you will look for after 5:00pm at work. The squid could have been a bit crispy, but the taste profile was spot on. Haven’t tried his other restaurants, but what he brings to this buffet is nothing short of spectacular. Crispy kurobuta pork chops, chicken skewer in lemongras and coconut milk (oh this you must try freshly grilled! 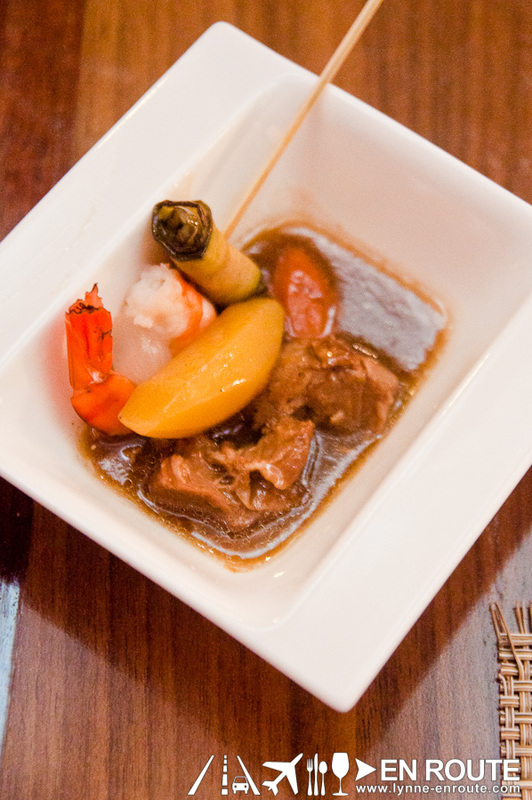 ), and a good ol’ fashioned salpicao, made extra special by using tender wagyu beef. 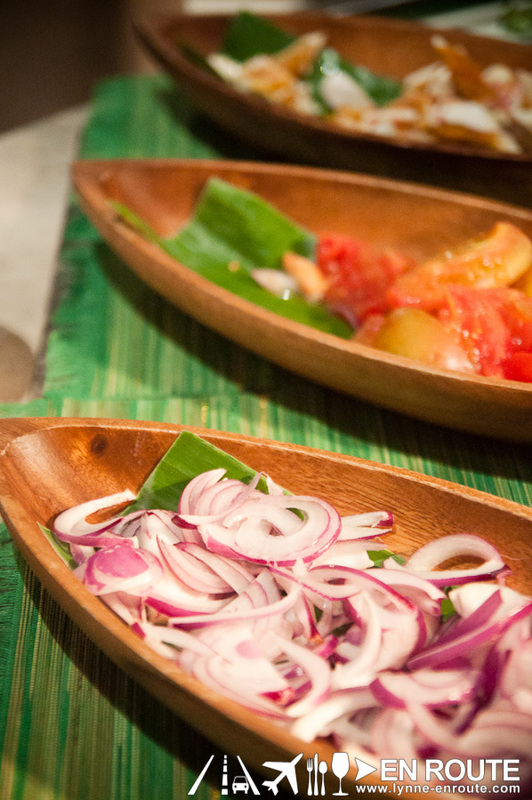 It’s simple, but the focus on the quality of ingredients is what makes it all so special. 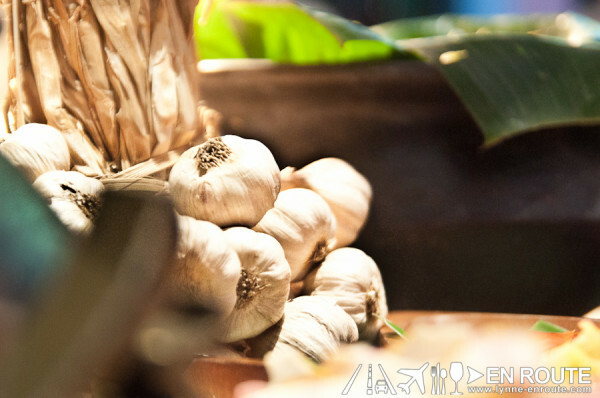 His background is really more on German fare, so Filipino cuisine can become quite a challenge. And then he came up with the traditional Adobo braised in red wine, and then added with double cream. And what was in the goto that he made? Is that foie gras? In goto?!?! Almost all the time people were lining up to it. Can a simple porridge still be made better? Apparently, through Marko, it can be. Oh, and remember to get desserts. 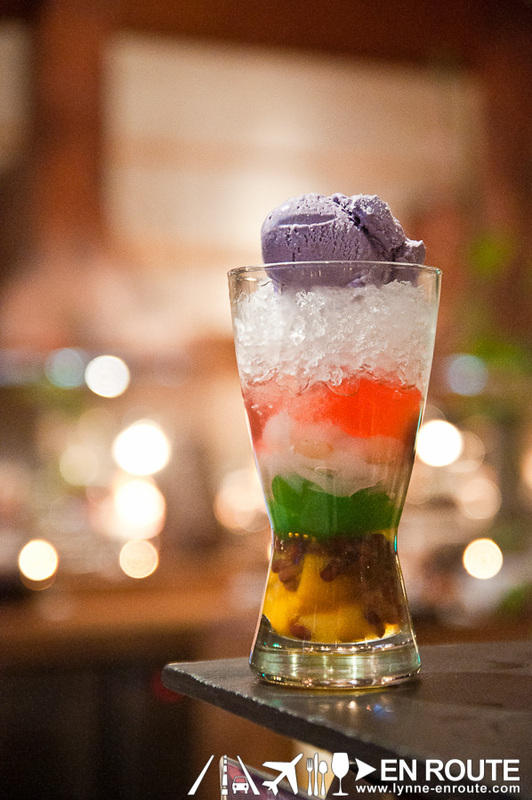 The Halo-Halo, no matter how ubiquitous, is mandatory. The ube ice cream that tops it though, is exceptionally creamy. 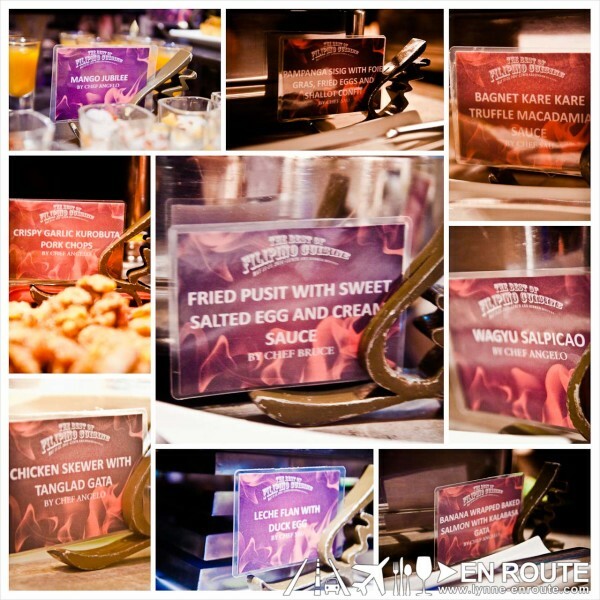 Buffet costs about PHP 1,695.00 per head, PHP 1,888.00 if you want free flowing tropical juices to match this feast. And about that trip to Coron? As long as you spend PHP 5,000.00, you become eligible for a chance to win two (2) tickets to Coron, Palawan. Pigging out seems to just pay off more here in Diamond Hotel. 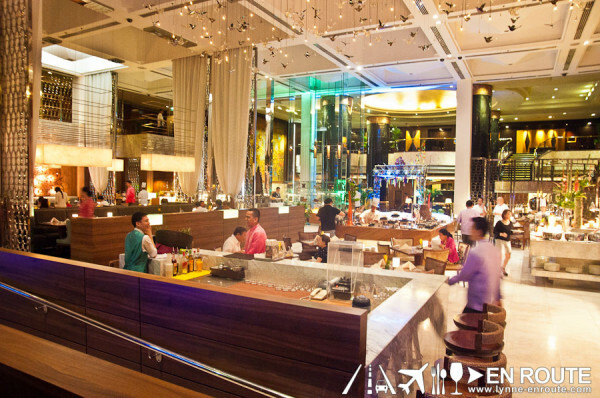 For reservations, call Corniche at +63 2 528 3000 local 1121.